Most Swiss companies have strong international ties. They encounter fluctuating prices in EUR and USD as well as other foreign currencies directly. The Credit Suisse corporate client survey shows that only a sixth of the companies surveyed do no business outside Switzerland. That's why the majority hedge some or all of their currency risks. For instance, hedging against all eventualities is a matter of course at Walter Matter SA. The commodity trader, headquartered in Geneva, buys and sells coffee and cacao. "This is important because we sign contracts up to two years in advance," explains CFO Roger Fry. He is one of three of the entrepreneurs interviewed at length for the study. The study on exchange rates and currency hedging gives an insight into which currency risks Swiss companies expect and the extent to which they hedge them. Another part of the study is the Credit Suisse House View forecast for the global economy. However, the study also shows that nearly a third of the companies do not hedge transactions in EUR; one in four don’t hedge transactions USD. Therefore, they are fully exposed to currency risks. 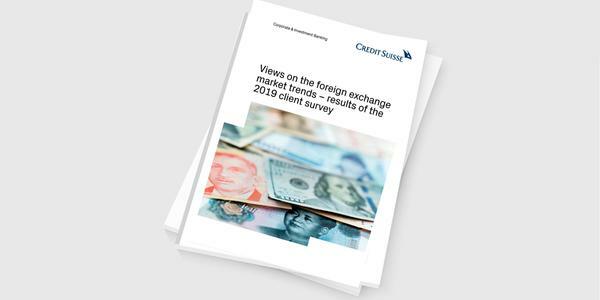 For 2019, the companies surveyed anticipate moderate exchange rate changes. They are doubtful about a strong upturn in Europe and accordingly, no resurgence on the part of the euro. 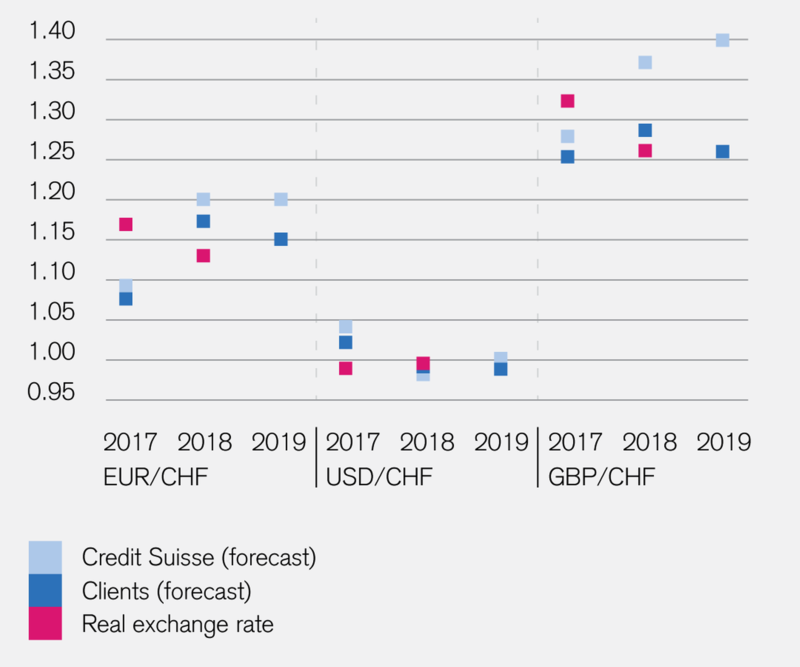 According to the results of the survey, they anticipate an average EUR/CHF exchange rate of 1.15 by the end of 2019. Credit Suisse economists forecast an exchange rate of 1.20. Even for the USD and the GBP, companies expect little change. They expect a USD/CHF exchange rate of 0.99 (Credit Suisse forecast: 1.00) and a GBP/CHF exchange rate of 1.26 (Credit Suisse forecast: 1.40). 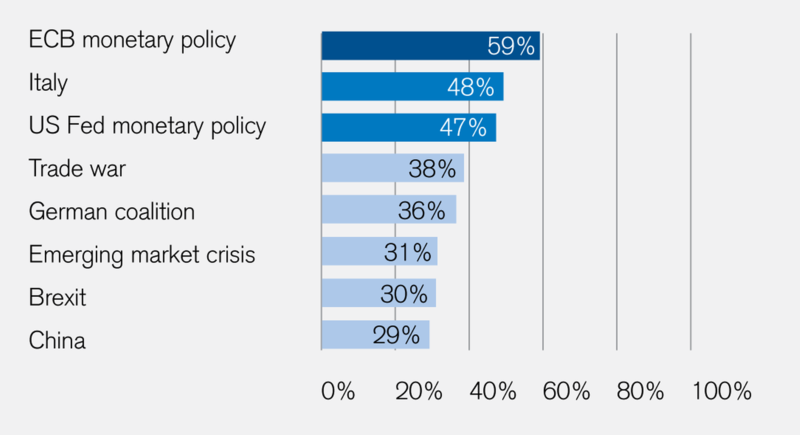 The study's participants are cautiously optimistic about the Swiss economy. The majority of survey participants anticipate Swiss economic growth to be broadly on a par with that of the previous year. The other companies expect either a slowdown in growth or faster growth. This is broadly in line with our Credit Suisse House View assessment. According to the companies surveyed, the monetary policy decisions of the ECB and the Fed are likely to have the strongest impact on the development with regard to the Swiss franc. However, just half of respondents expect an initial rate hike by the Swiss National Bank (SNB) by the end of 2019. Political risks could also lead to currency appreciation for the Swiss franc; the most important is considered to be the budget deficit in Italy. Uncertainties in the euro zone as well as European budgets, which are still not on the right track, are also cited by Albert Angehrn, Head of Large Swiss Corporates at Credit Suisse, as the largest market risk for the Swiss franc. In Interviews in the study, he and two other heads of business areas also explain the biggest challenges to their clients, why even SMEs in Switzerland need to hedge currency risks, and why the US dollar is likely to remain the dominant trading currency for a long time to come.